"It is most often seen in the vicinity of Le-Koro, and the Le-Koro Matoran must always be on guard when swinging through the trees." The Fikou-Nui in The Legend of Mata Nui alpha v0.006. Fikou are dangerous spider-like Rahi. A stinger-tailed sub-species of Fikou migrated to the Voya Nui region of the Southern Continent. When the Great Cataclysm hit, Voya Nui rocketed to the surface of Aqua Magna. Its Fikou population traveled with it and remained on the island for 1,000 years. [VNOG] Their existence was threatened by Voya Nui ultimately rejoining the Matoran Universe when the Toa Mahri destroyed the Cord. [BL8] Their conservation status after the event is unknown. Many Metru Nui Fikou migrated to the Le-Wahi region of the newly-formed island of Mata Nui. [BEU, p. 32] The Matoran of Le-Koro always had to be on guard when swinging through the trees due to the danger posed by these Fikou. Several Fikou were influenced by Teridax using Infected Kanohi, leading them to attack Matoran. [QftT] During the Bohrok Invasion, the destruction of Fikou webs in Le-Wahi by the Bohrok forced some Fikou to migrate into the jungle canopies. [WoH, Ch. 6] The island's Fikou population returned to the Matoran Universe after the Bohrok swarms were unleashed a second time to cleanse the island. After the Great Spirit Robot was critically damaged in the Battle of Bara Magna, the surviving Fikou emigrated from the Matoran Universe to Spherus Magna. The Fikou are currently looking for a region on Spherus Magna similar to those in which they have lived before; however, many Fikou have suffered from predation. 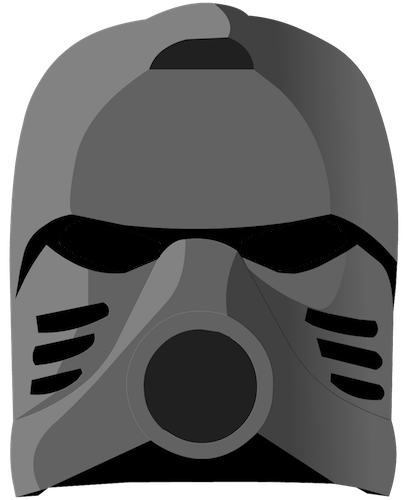 A Rahi known as the Fikou-Nui once resided on the island of Mata Nui. [TLOMN] Its current status is unknown. The black Fikou is a set combiner of Toa Mata sets 8531 Pohatu and 8532 Onua. It also, however, uses the extra ball joint in Pohatu's set that is not present in the primary model. Its instructions were available in a 2001 LEGO Mania Magazine (now known as LEGO Club Magazine). In 2002, an orange Fikou was released as part of the 10023 Bionicle Master Builder set. A similar version was released as a standalone promotional set in 2003. 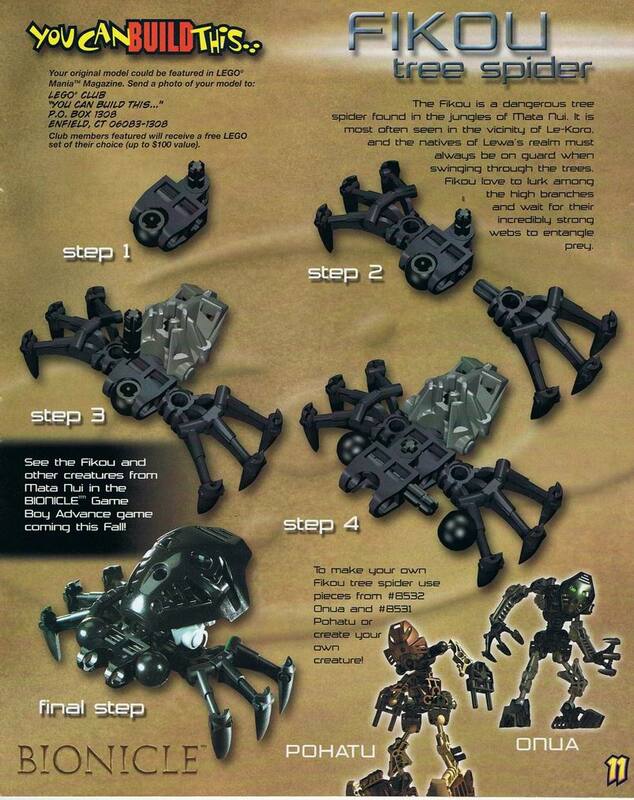 The Fikou-Nui was set to appear in the cancelled 2001 video game BIONICLE: The Legend of Mata Nui. Later on the LEGO Message Boards, BZPower and BIONICLESector01 member Boidoh suggested that Greg Farshtey canonize the Fikou-Nui, and Farshtey did so.